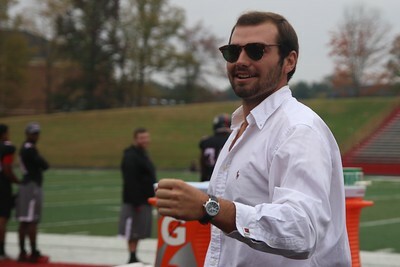 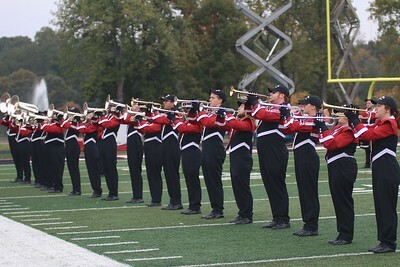 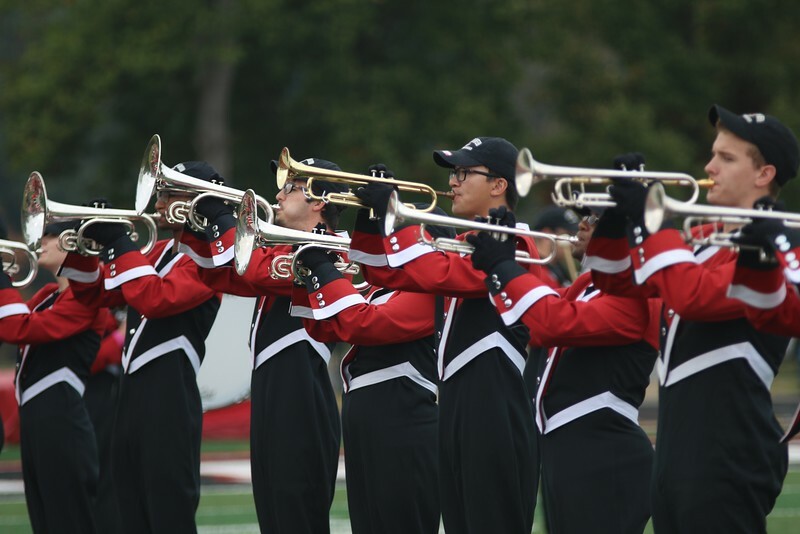 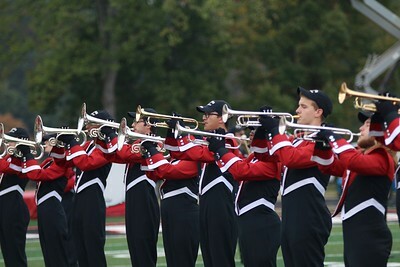 At the start of Saturday's football game against Charleston Southern the GWU Marching Band played the National Anthem. 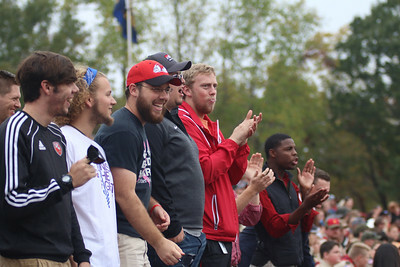 All weekend, Scouts were here visiting campus. 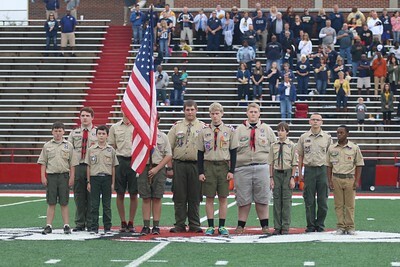 They held the American flag at the start of the game. 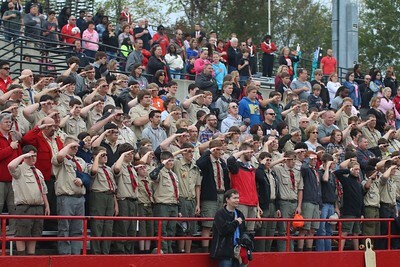 All weekend, Scouts were here visiting campus. 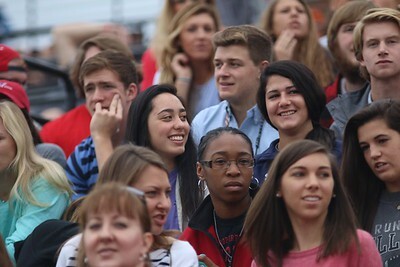 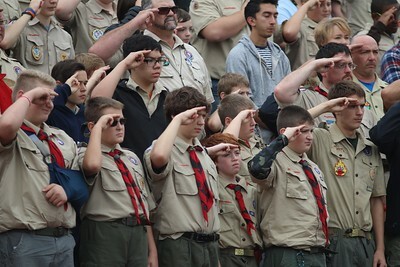 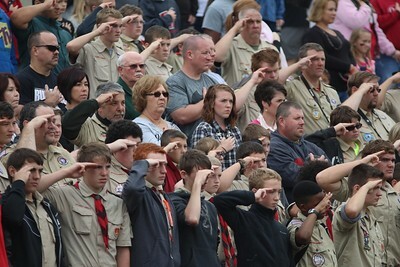 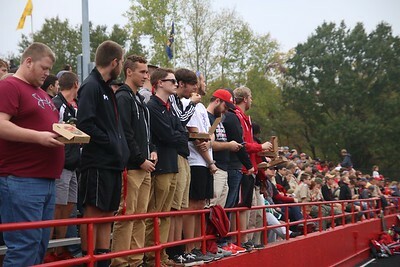 They attended the football game as well. 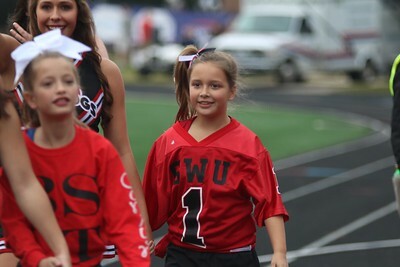 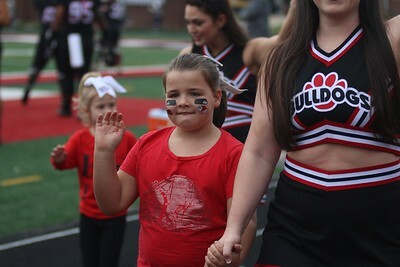 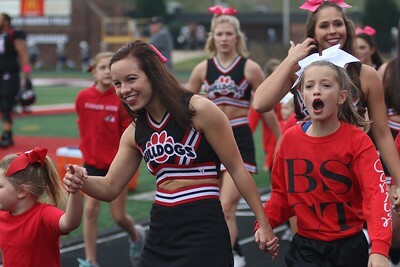 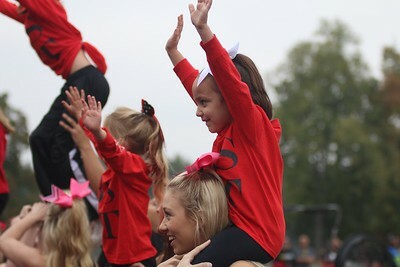 Kids from BSCT cheered alongside the GWU cheerleaders throughout the entire game. 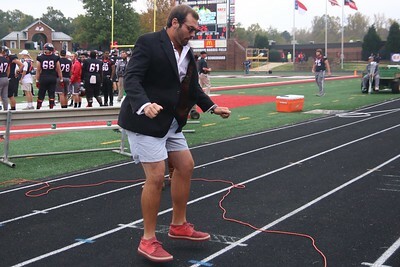 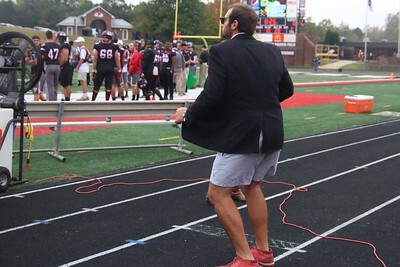 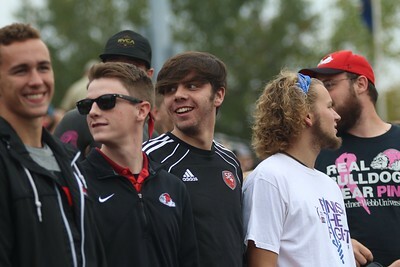 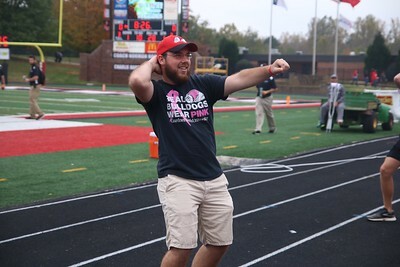 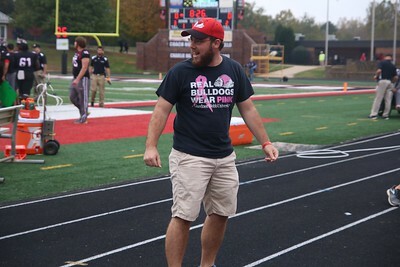 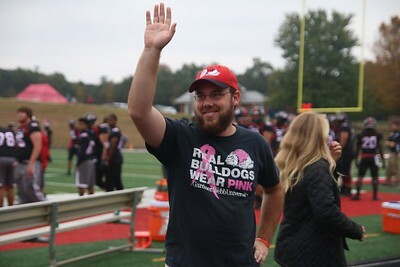 Fans came out and cheered on the GWU Runnin' Bulldogs! 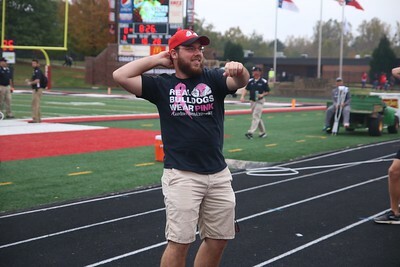 3 fans danced for their dinner during a media timeout at the football game. 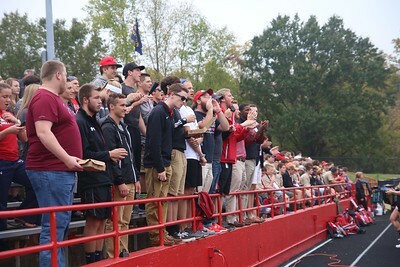 Fans came out to support their Runnin' Bulldogs! 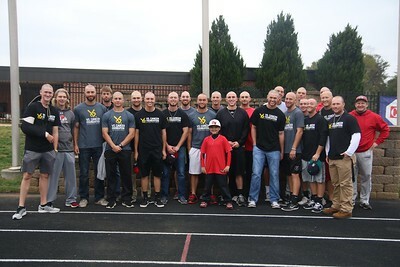 The GWU Baseball team was recognized today for shaving their heads earlier in the morning to support cancer. 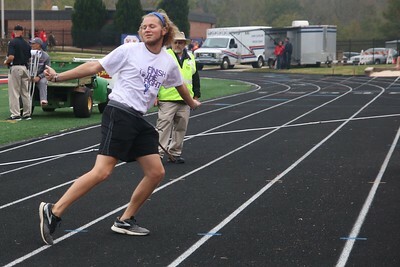 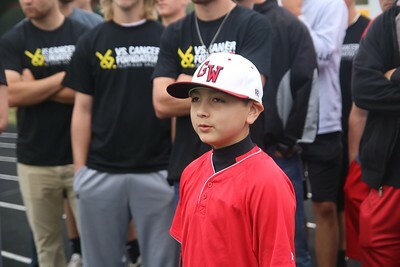 Along with them is Asher Smith, honorary GWU Baseball team member battling childhood cancer.